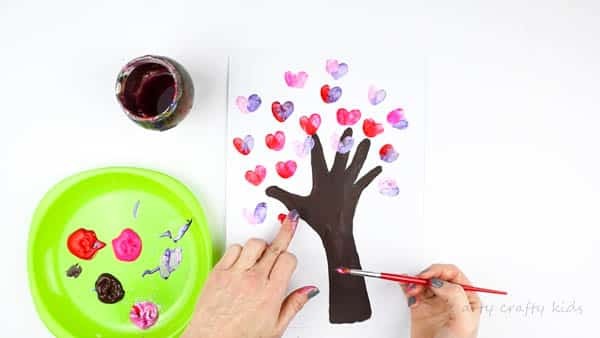 There’s nothing sweeter than a handprint keepsake craft from your little one and with Valentine’s Day on the horizon, this Fingerprint Heart Valentines Day Tree will certainly win hearts. It can be created as a stand-alone piece of art or adapted to make a Valentine’s Day card. And its simple process is great for preschoolers and young children. 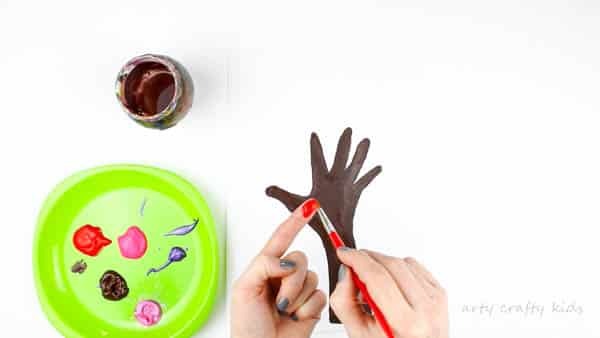 My four-year-old happily painted her own hand and arm to create the tree shape; creating a mixture of fingerprint heart and pink, purple and brown (she loves mixing paint to create brown) spotty foliage. 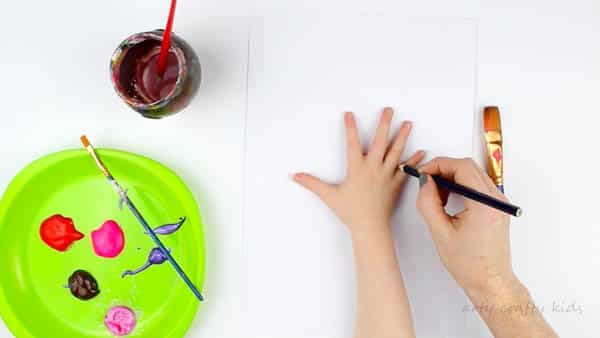 So gather your paints, paper, and Arty Crafty Kids and let’s get creative! Step 1: Draw around your ACK’s hand and forearm with a pencil. 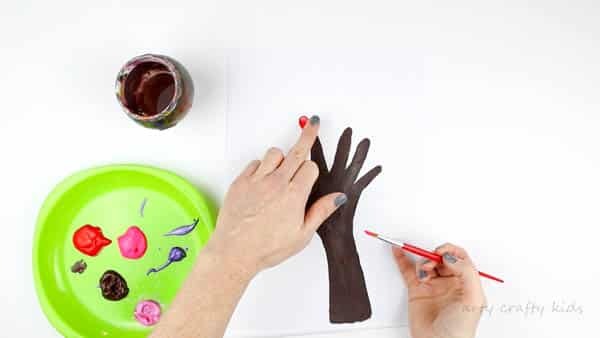 Alternatively, paint the hand and forearm to create a print. 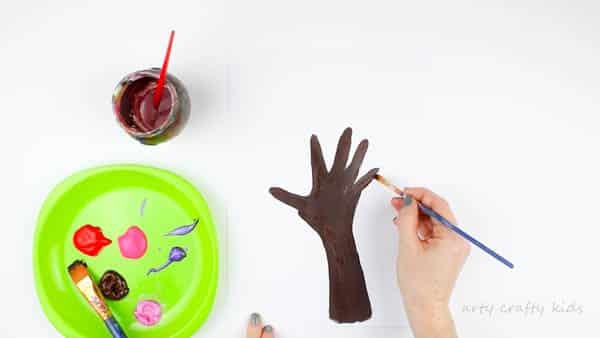 The former option is great for children less fond of the sensation of paint on their skin. Step 2: Fill the arm outline with brown paint. Step 3: Apply paint directly to the tip of the finger. Step 4: Press the painted fingertip down firmly onto the cardstock at a slight angle. Step 5: Repeat the former step and join the two prints to create a ‘heart’ shape. Fill the tree with gorgeous fingerprint hearts, using various colour combinations. What happens to their prints? 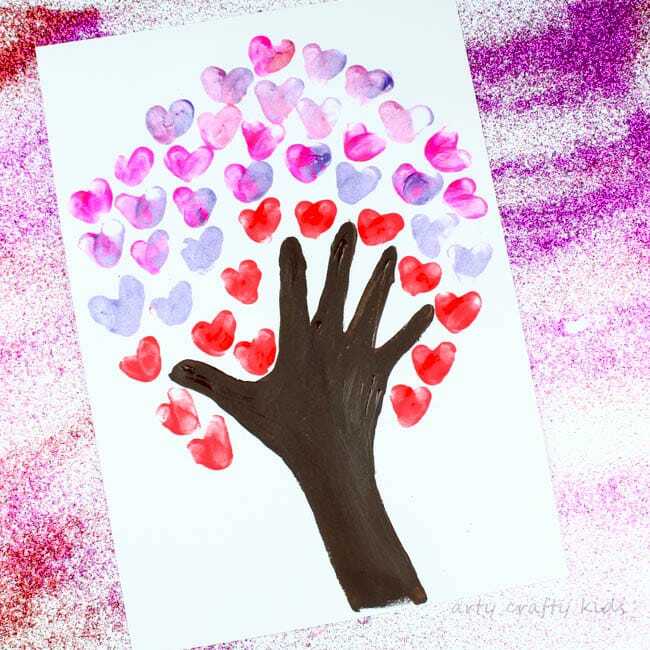 I hope your Arty Crafty Kids enjoy creating their Fingerprint Heart Valentines Day Trees.